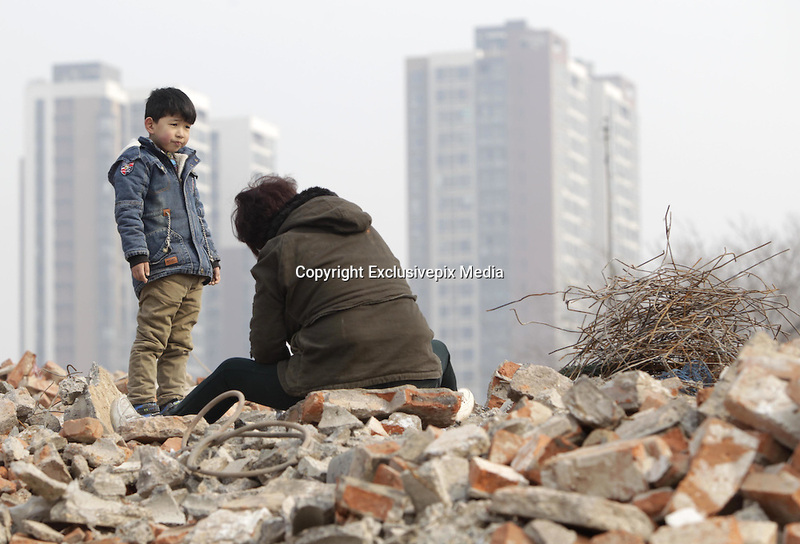 Seven years old Lele writes homework when his grandmother picking up used wires near west 3rd Ring Road and Huagong Road on February 3, 2015 in Zhengzhou, Henan province of China. A seven years old child who was in first grade picked up wasted wires with his grandmother Liu Xiaohong to make money for his sick father who had got Hepatitis-Aplastic Anemia Syndrome. They had almost run out all savings but failing in curing his father. Lele\'s mother looked after his father and he and grandmother had to do something else to support the family. Their efforts in all day would only be paid back forty or fifty Yuan RMB (6 USD - 8USD) and even though Lele still wrote his homework when resting along with his grandmother. Lele said that he would be a doctor to save father.